In the following experiment, we'll use flammable materials found in citrus fruit peels to create a small flamethrower. This experiment requires adult supervision! If you have trouble peeling the citrus fruit properly, ask an adult to help you. 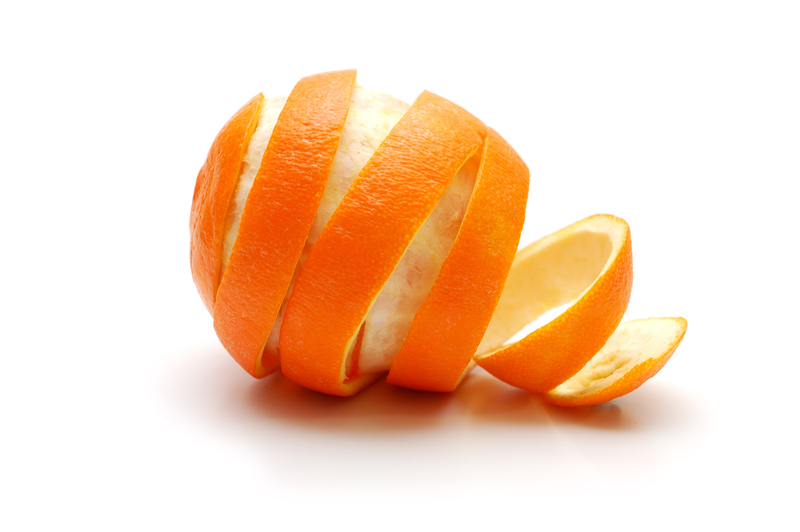 Inside the cells of citrus fruit peels, there are flammable oils and other carbon compounds, including alcohol. The oils give the citrus fruit peels their typical smells – the same smell that is left on our hands after peeling such a fruit. Also, these oils protect the fruit from pests. When you press the peel, the cells are squeezed and the oil is pushed out. When these flammable oils hit the flame, they burn and create an amazing effect, as can be seen in the film. It's like a small military flamethrower, except that real flamethrowers work with petroleum-based fuels. The aromatic oils in citrus fruit peels are mostly used in the perfume and food industries to give a citrusy smell. Recently, medical uses have been found for these oils as well, including an asthma medication from orange peels, and anti-bacterial and anti-fungal materials derived from grapefruit peels.